The #DragonOff printing competition is now over, and we had some amazing entries. 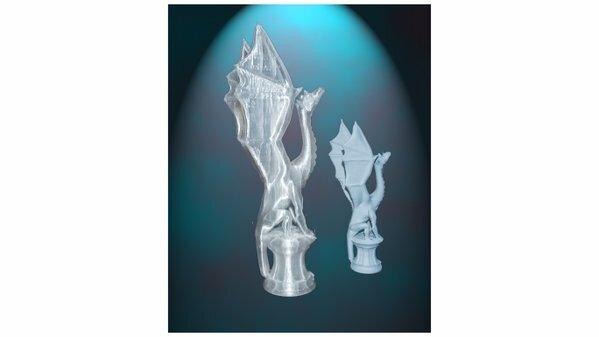 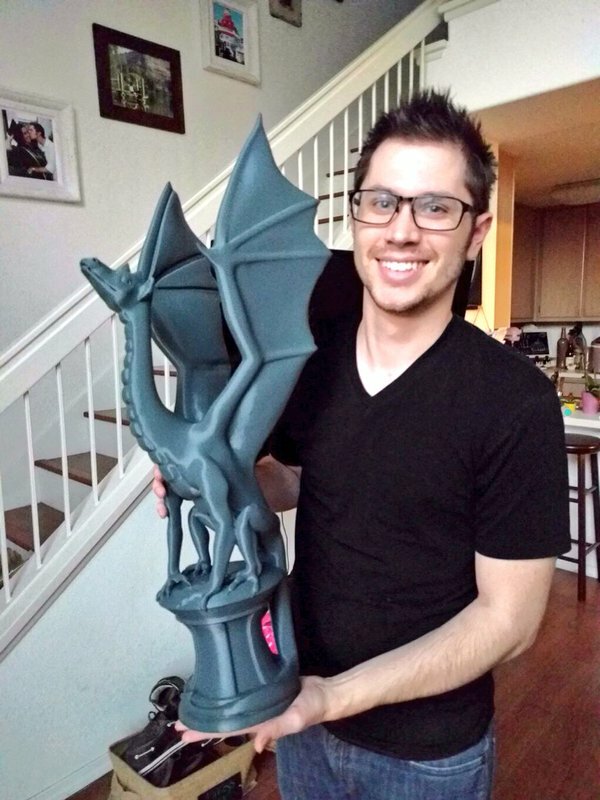 During October 2015 a grand Dragon printing competition raged on Twitter (and G+) it was a great display of invention, skill and 3D Printing ability. 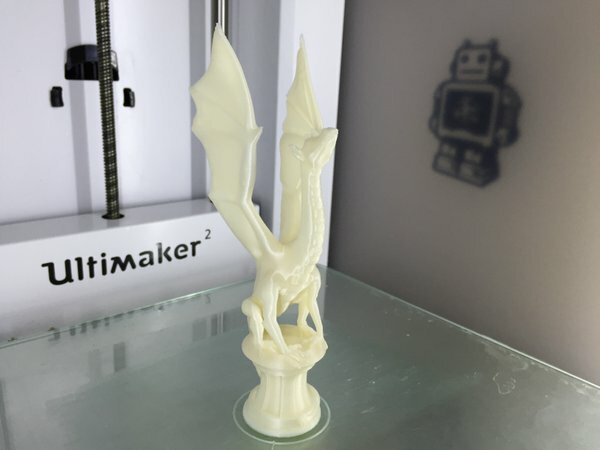 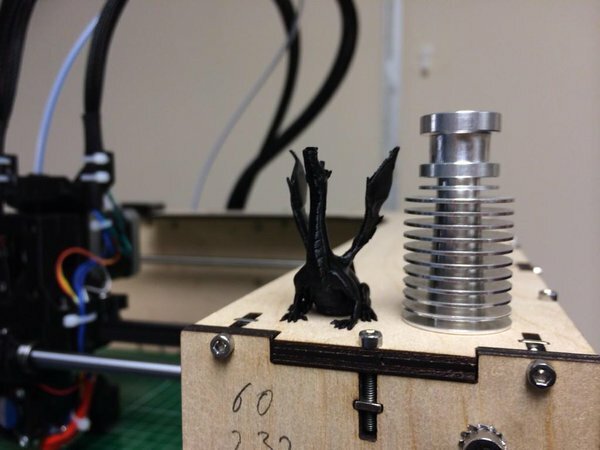 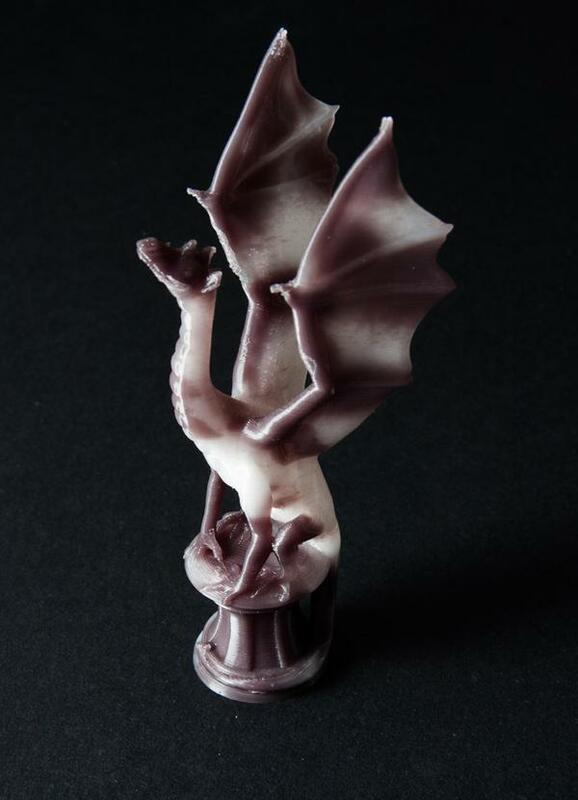 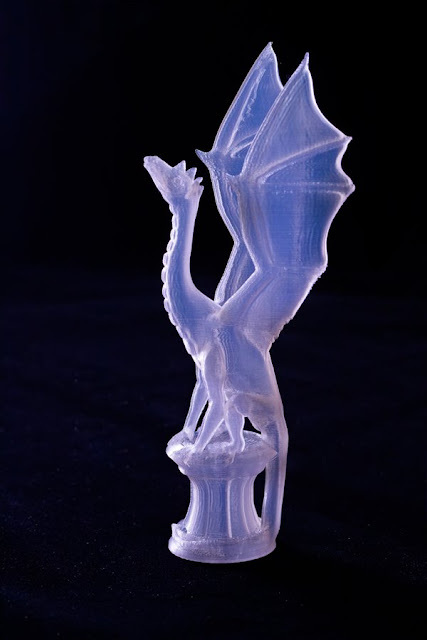 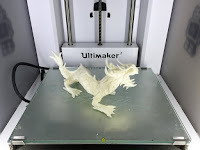 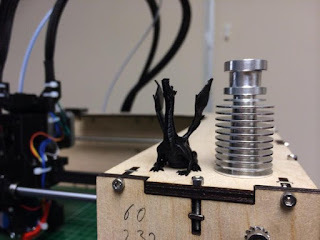 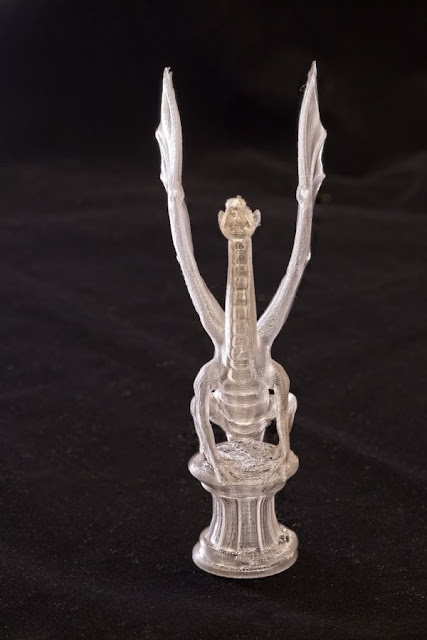 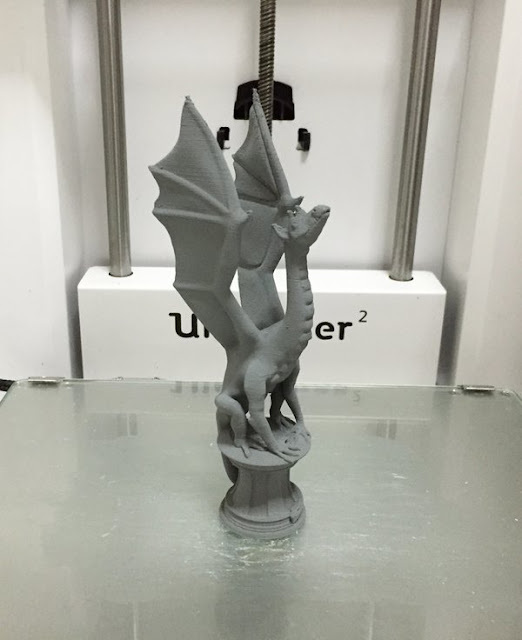 The entries in this competition show that desktop 3D printing still has some way to go, and even an object as useful as a dragon... can be tricky to print. 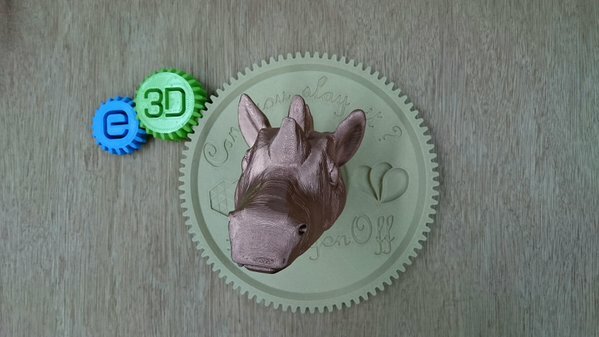 This event did have a serious intention, and that was to share some printing experience and ideas with more people, hopefully inspire and encourage experimentation too. 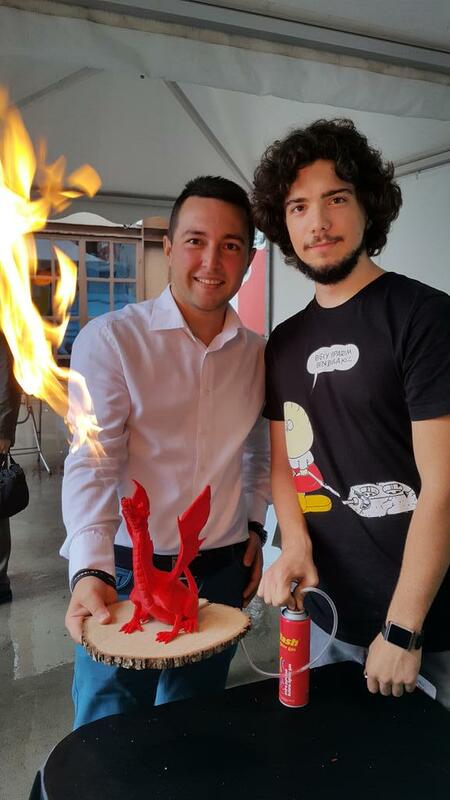 (and have fun! 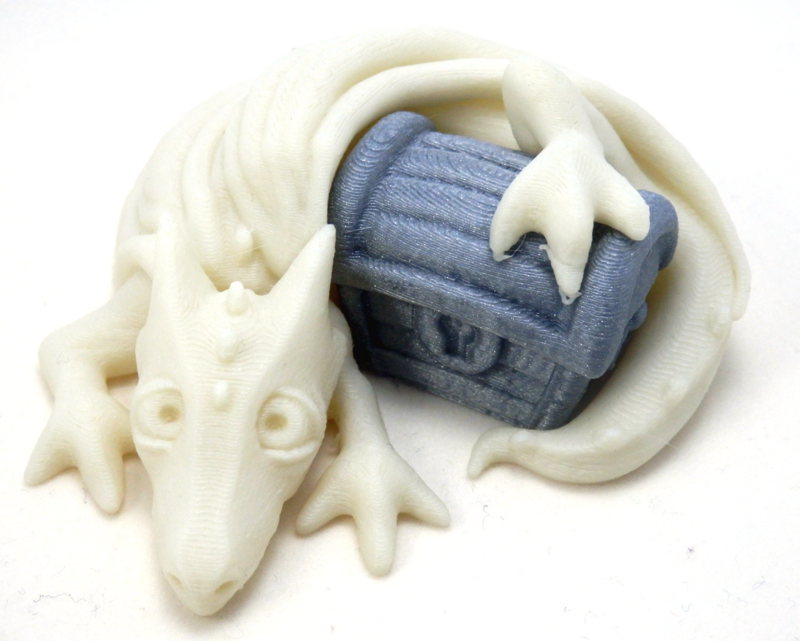 - remember to have fun with 3D Printing it's frustrating enough). 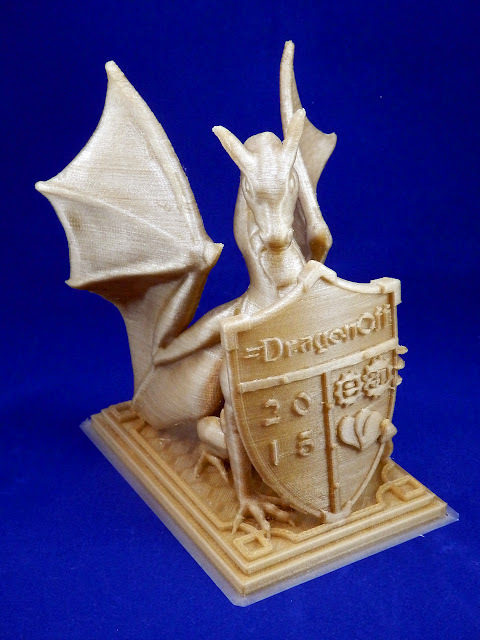 Louise even designed a very special Dragon trophy for the winners. 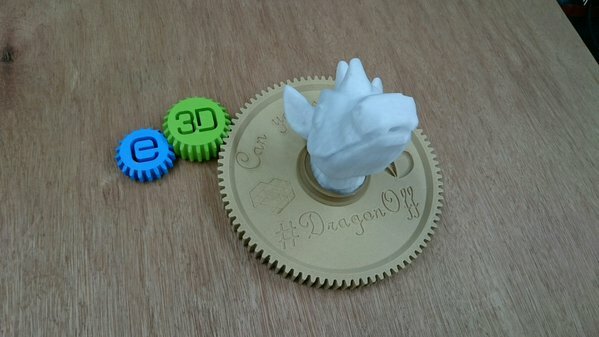 Louise Driggers will be announcing the winners during November, and prizes are being supplied by E3D and Colorfabb. - Thanks guys. 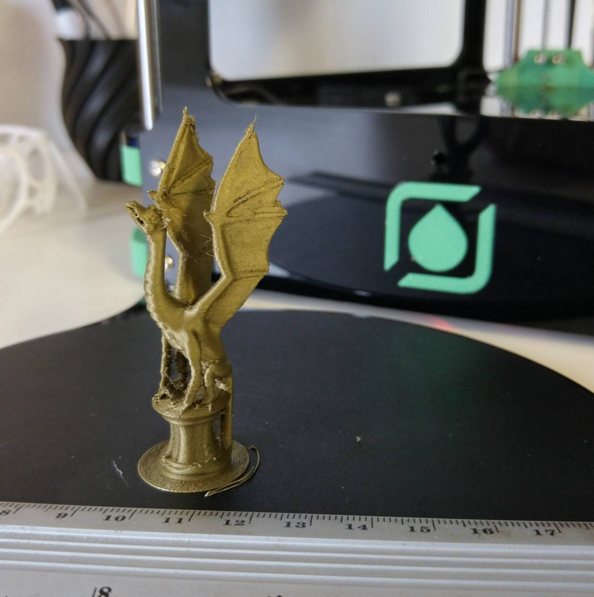 This blog post attempts to 'catch them all' - Apologies if I missed your entry - leave me a message and I'll add it to the post. Thank you to all who entered, and I hope you enjoy the fantastic display of 3D Printed Dragons. 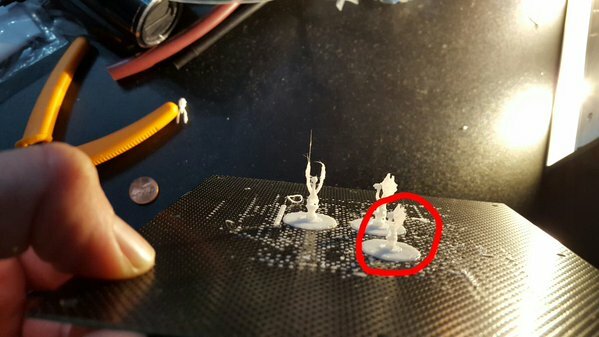 The images shown below are owned and copyright by the users stated (Any errors, issues or concerns, do let me know). Steve from Gyrobot demonstrated a very nice technique of thermo-forming Filaflex material after printing. 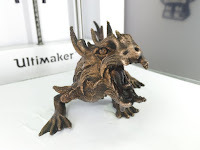 Filaflex on the other hand needs a little more heat, so a hot-air gun or blowtorch can be used to achieve different forms. 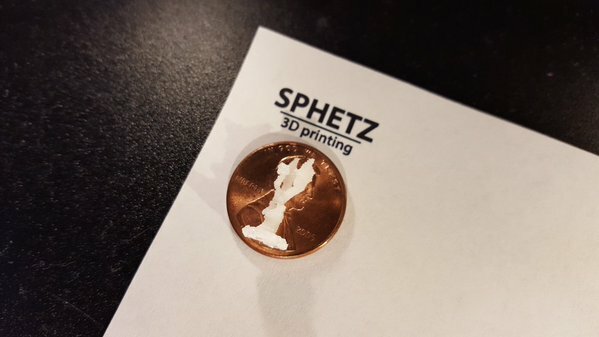 "Success! 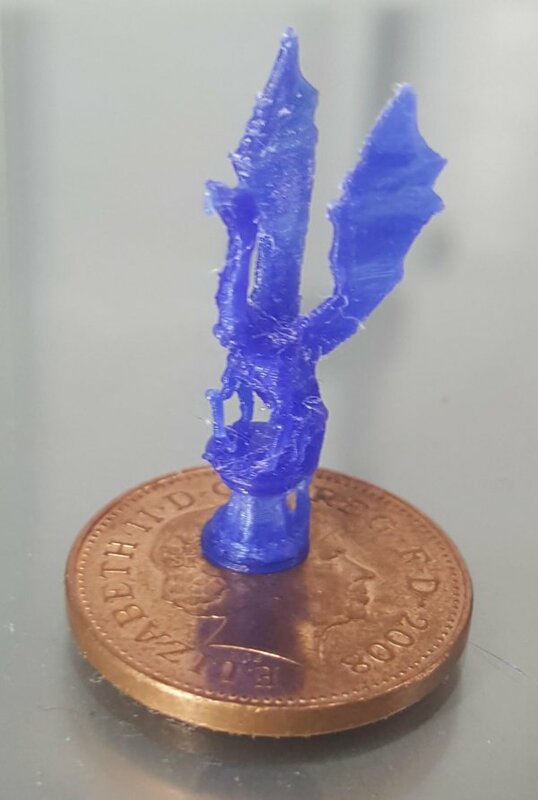 10% scale aria, It even still has little legs. 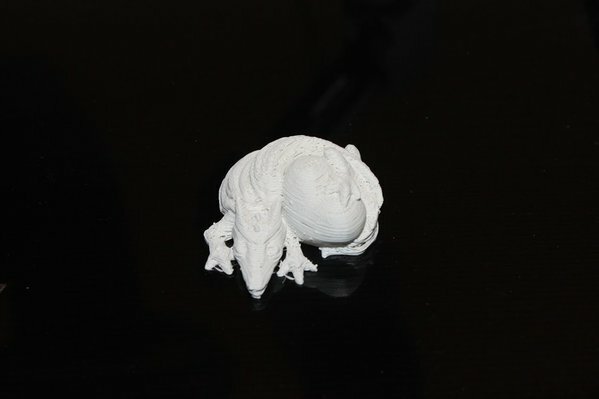 ~13mm tall"
@sphetz was one who managed a 10% Aria, that's impressive for even trying, let alone pulling off a reasonable print. 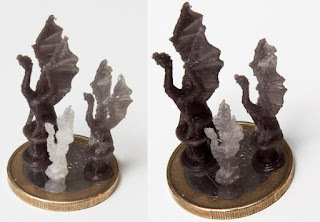 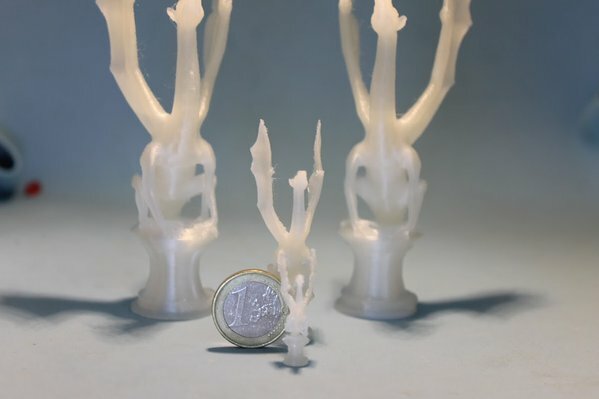 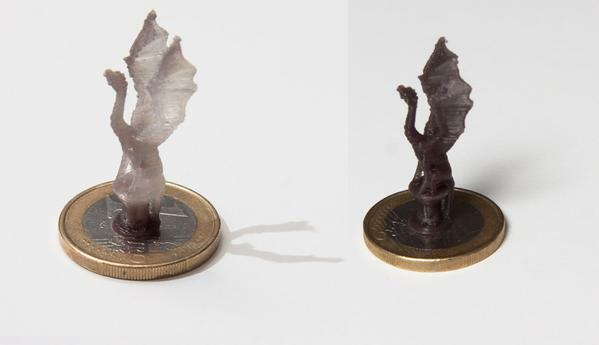 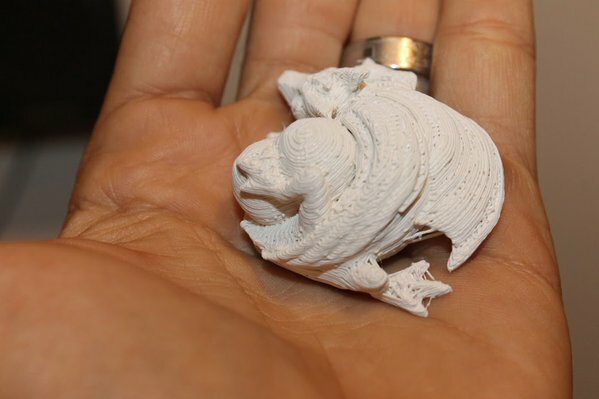 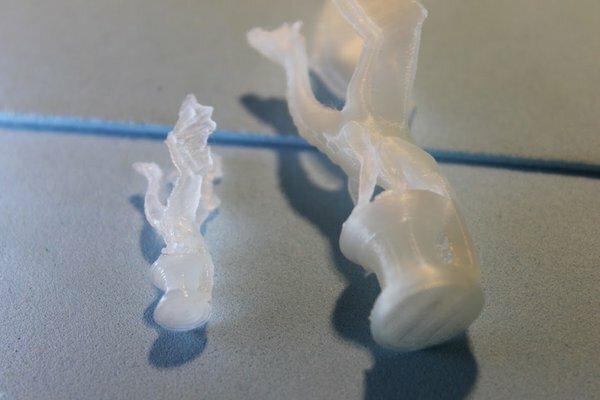 That's about the limit for Desktop 3D printing - you can still see it's Aria, and that's a 13mm tall print! I was delighted to see more of the great Home Electroplating models made by Dizingof. They are straightforward to do, spraying on Zinc paint, dipping in copper sulphate solution - The zinc gets a nano-copper surface allowing normal electro-plating of the part. 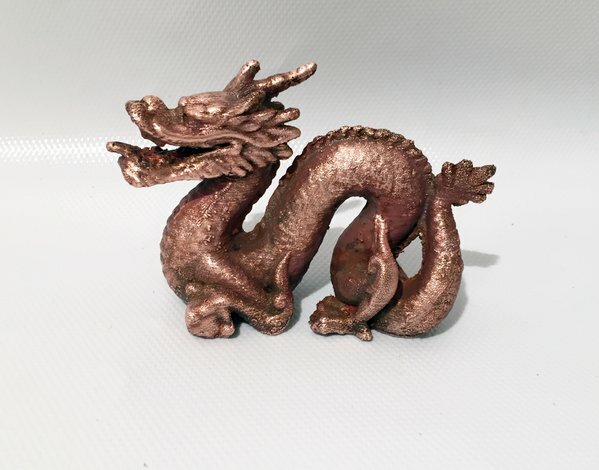 Shine them up, or even plate in other materials after the copper, you could easily make a gold plated Dragon yourself. 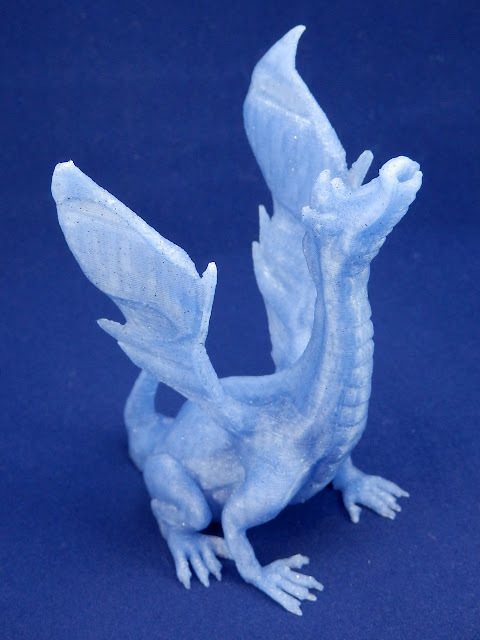 Small Adalinda - in their new 'Edge' material (available ~Dec 2015). 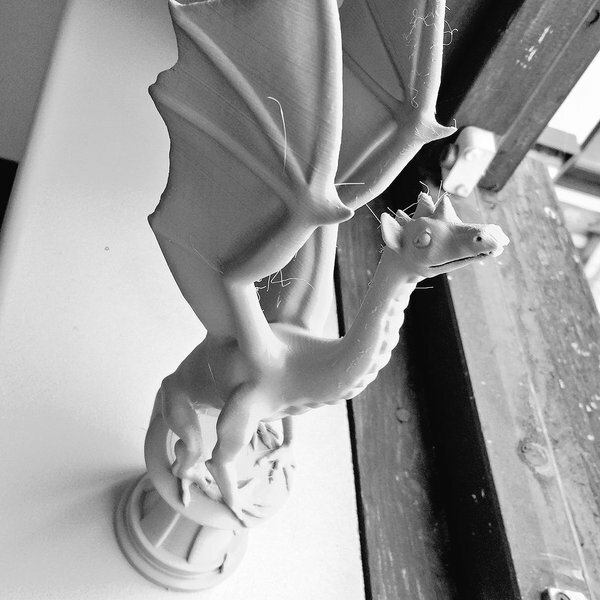 B&W for extra drama and terror - preparing to fly off and destroy some small village I bet. 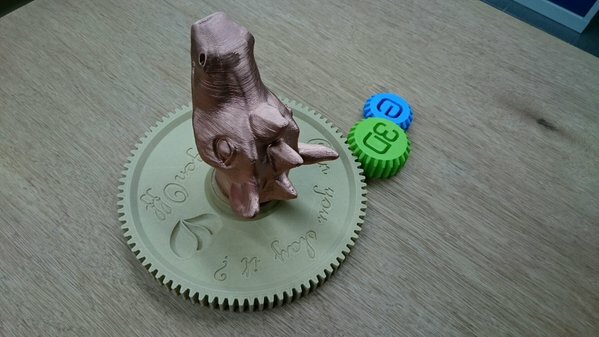 Marius Breuer -@MaBreuer - Made a rather fantastic gear model, using the head of Aria! 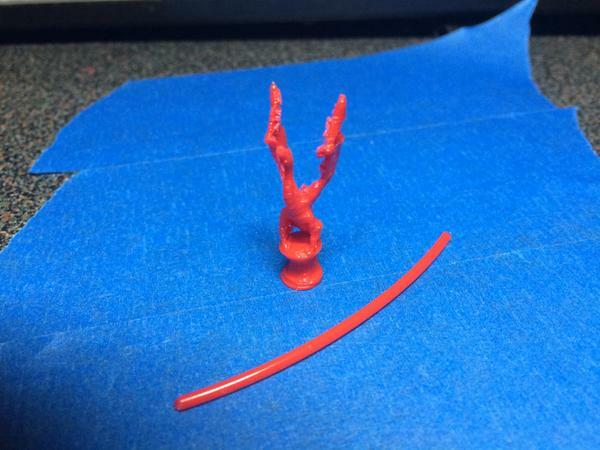 Surface quality looks fantastic to me - Marius can certainly slay dragons - decapitation and all. 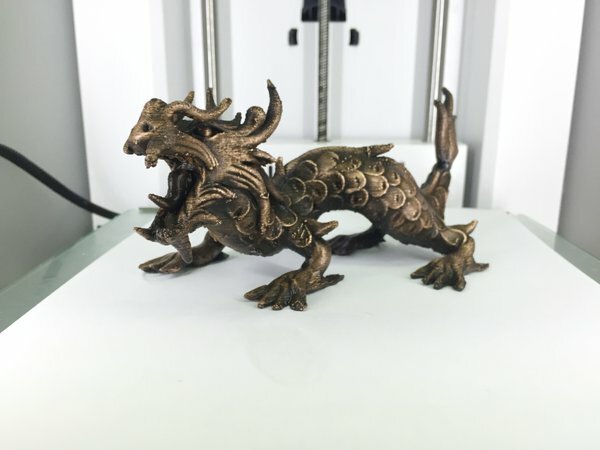 Marius even finished the print by copper plating the dragon head - Conductive paint and traditional copper electro-plating. Experimented very successfully with light and translucency with his Dragon entry. 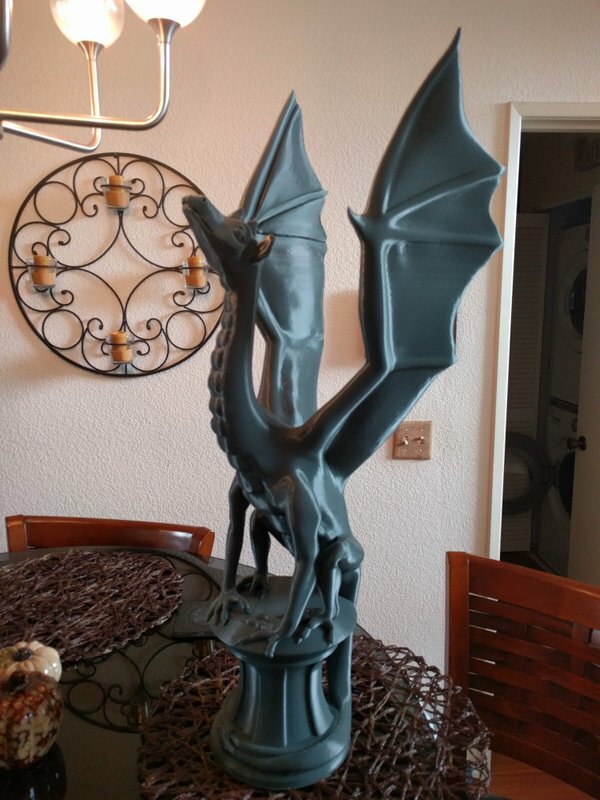 And how stunning it turned out. 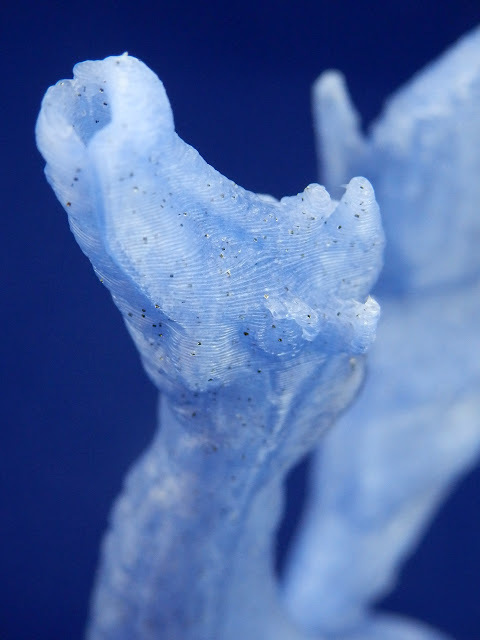 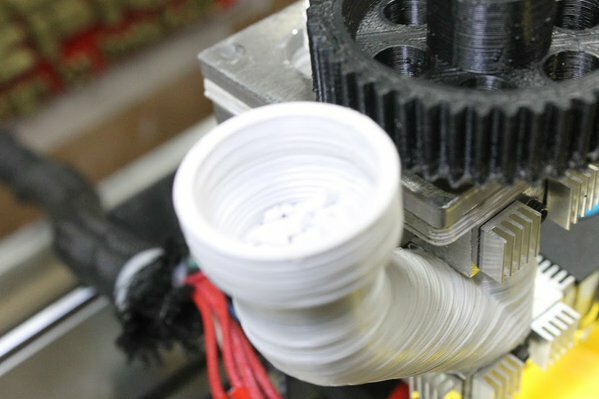 Using pellets instead of filament 'wire' is a big step towards more materials and lower cost. 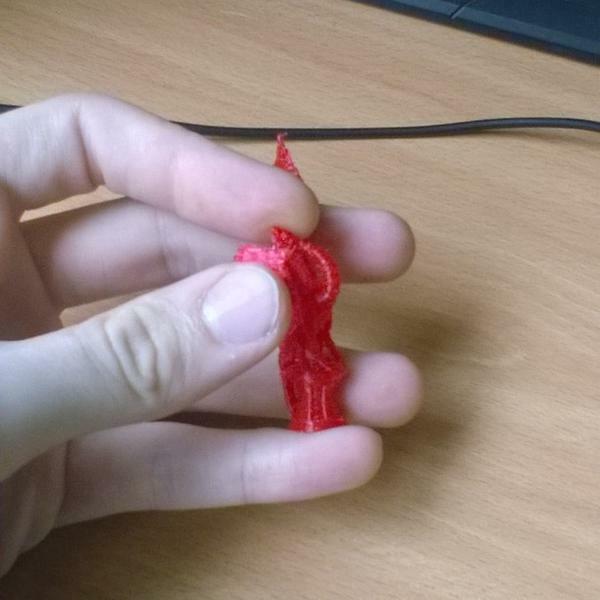 even if the quality suffers a little, for many parts, especially big prints, this is the future. 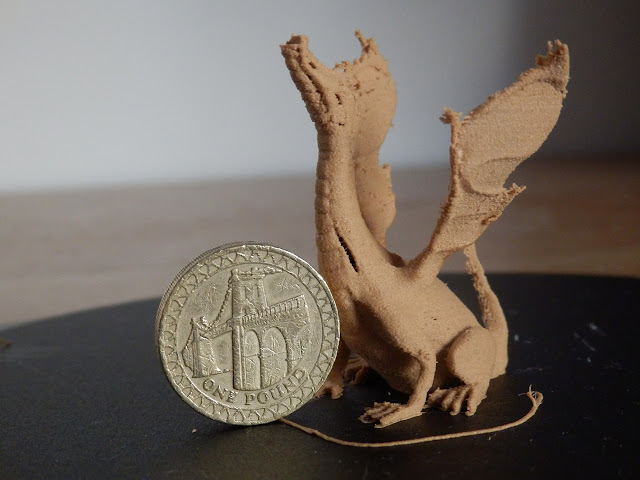 Such tiny dragons - Great ! 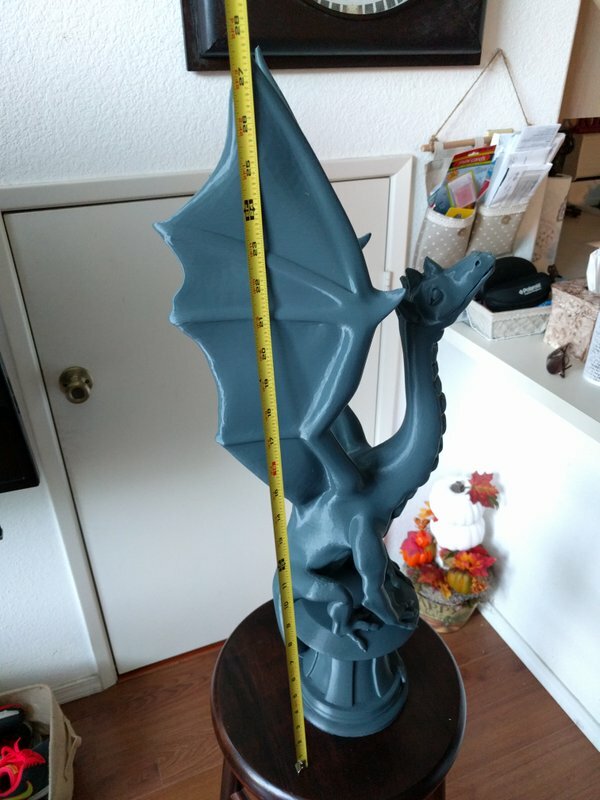 Real wood - that's mighty impressive at that size. Wood filled filaments are tricky to use, especially with tiny models. 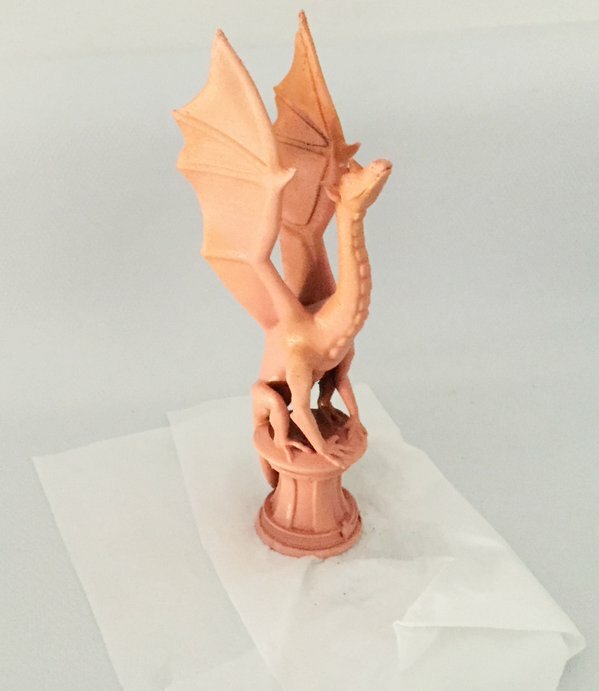 This was a thermo-chromic (colour change with temperature) print - cooled with spray to produce a mottled Dragon effect - It's temporary and a really nice idea for an active sculpture. 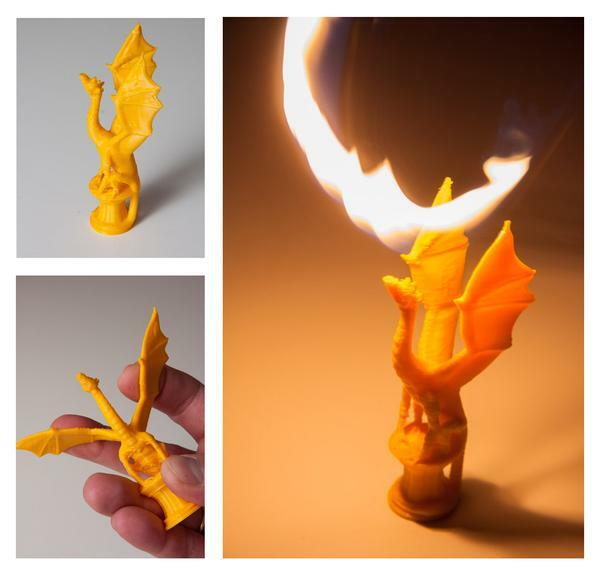 Flexy and with added flames for dramatic images above. 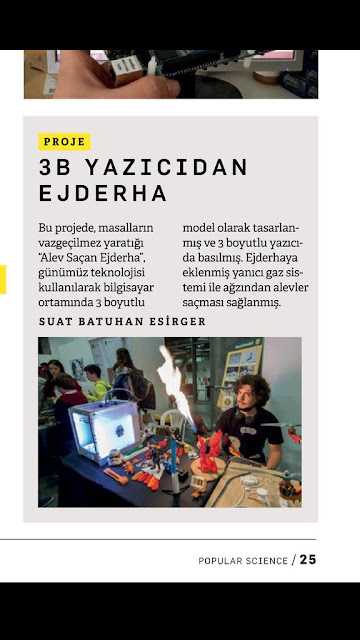 We had a spectacular butane powered Adalinda. This image even made it into Popular Science in Turkey - That's rather cool. 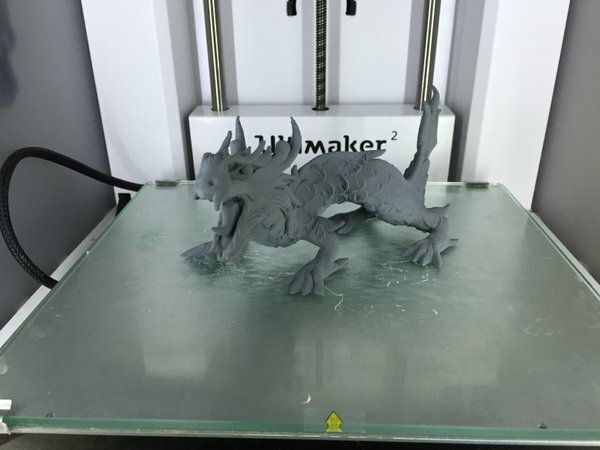 Printed in NinjaFlex - Tricky material for a tall dragon model - well done. 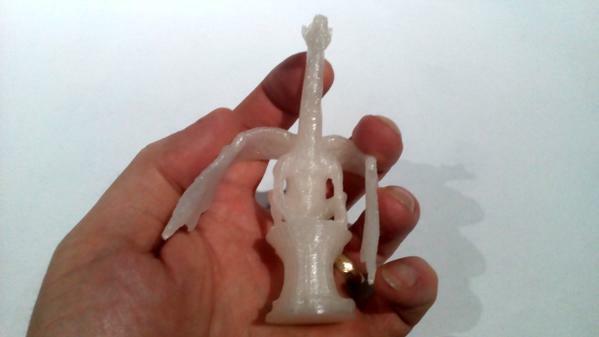 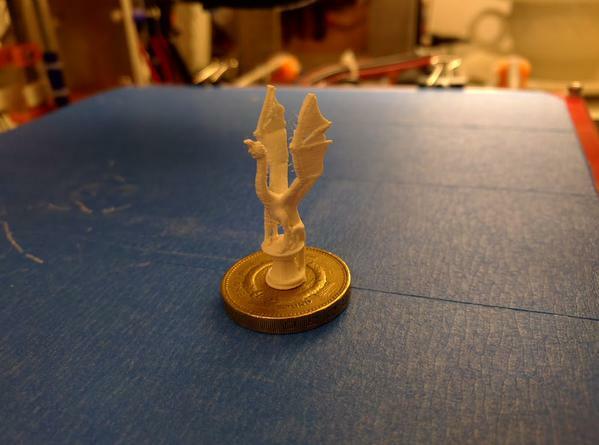 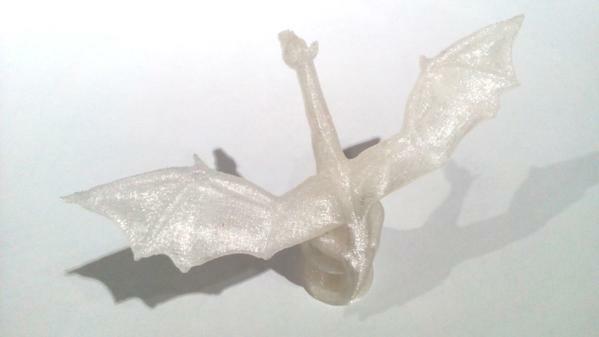 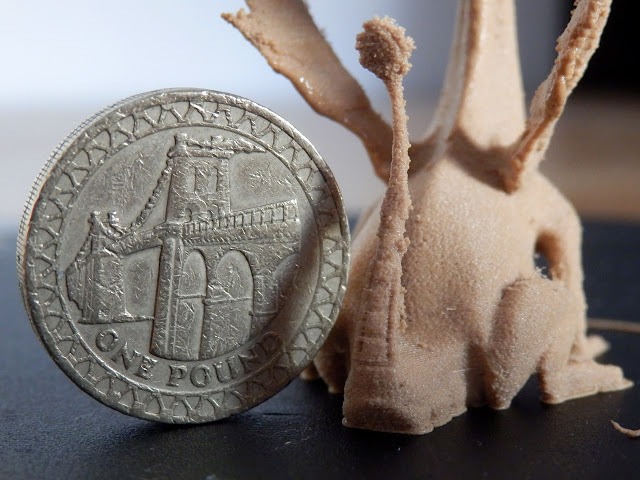 "My quick attempt at a tiny version for #Dragonoff 1.75mm filament for scale !" 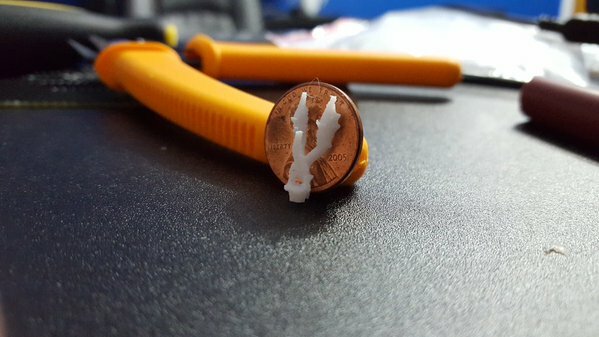 Luke was rocking a very small Aria - that's 1.75mm filament. 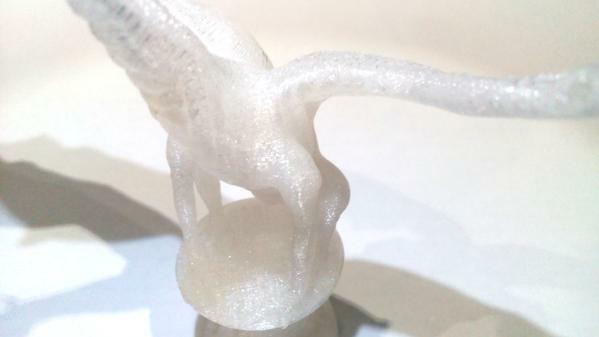 Corey did a fine Aria at 20% size - on an Ultimaker 2 - those front legs are tricky. 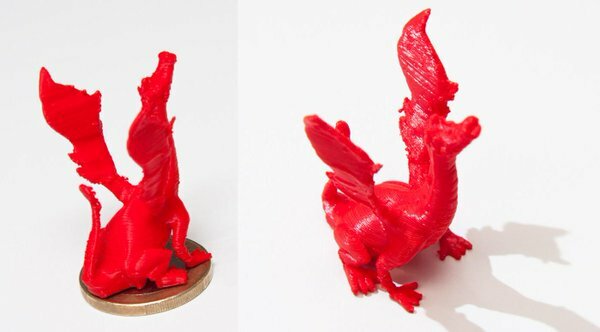 "25% scale #DragonOff came out better than expected!First proper print with @simplify3d on my @E3DOnline v6 Prusa i3 "
RepRapPro Ltd. 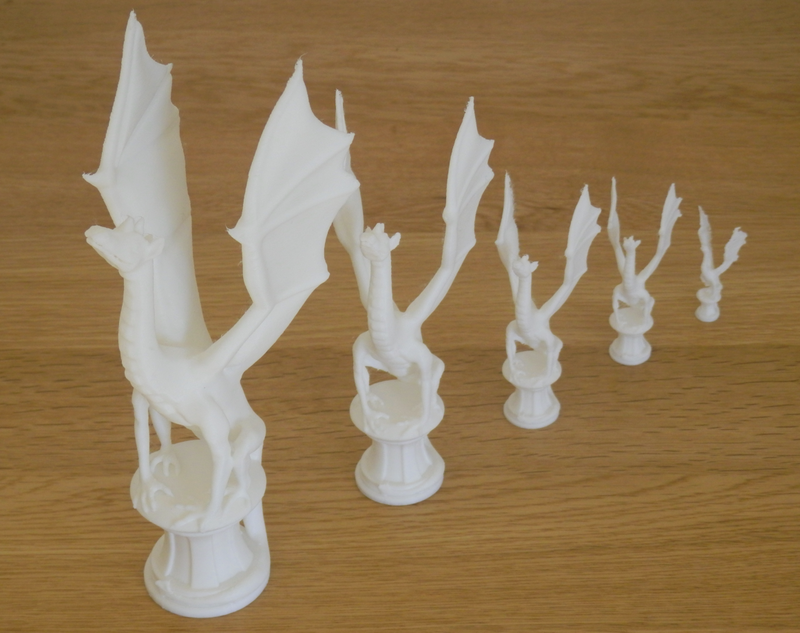 Showing that the Fisher 3D Printer is rather spectacular - not only for Dragons. I also used a Fisher for some of my DragonOff prints. 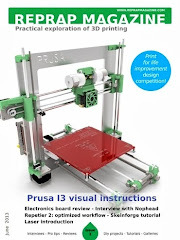 It's a really nice and easy to use machine. S0up gave us a very Big Aria Dragon - Printed on a rather awesome delta printer too. 540% scale up - that's 702mm tall - wow. The 3DPrint material was Atomic Gunmetal PLA. 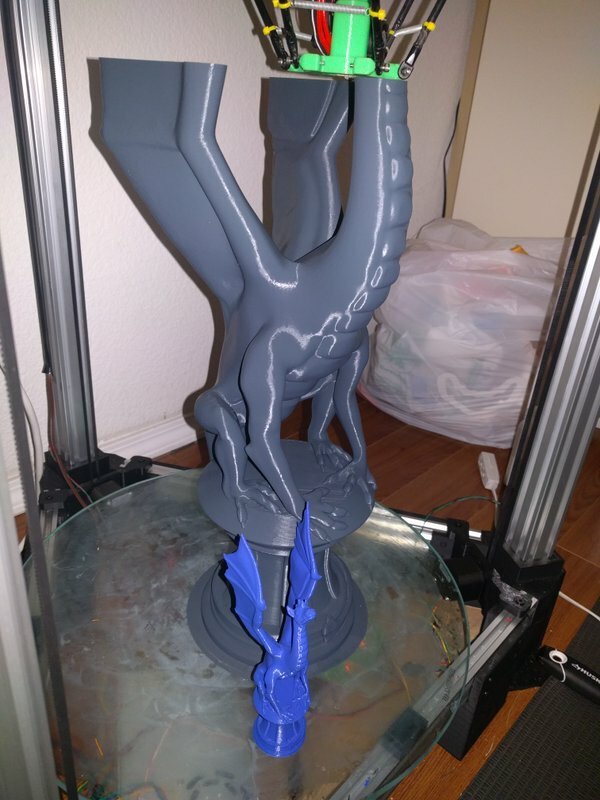 I made a few prints to stimulate the competition and ideas. My entries included - (I always have far too many dragons in my House). 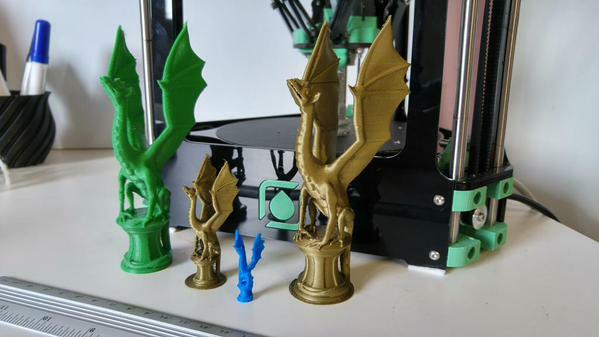 All of these above were printed out on the RepRapPro Fisher and BCN3D Sigma 3D Printers. 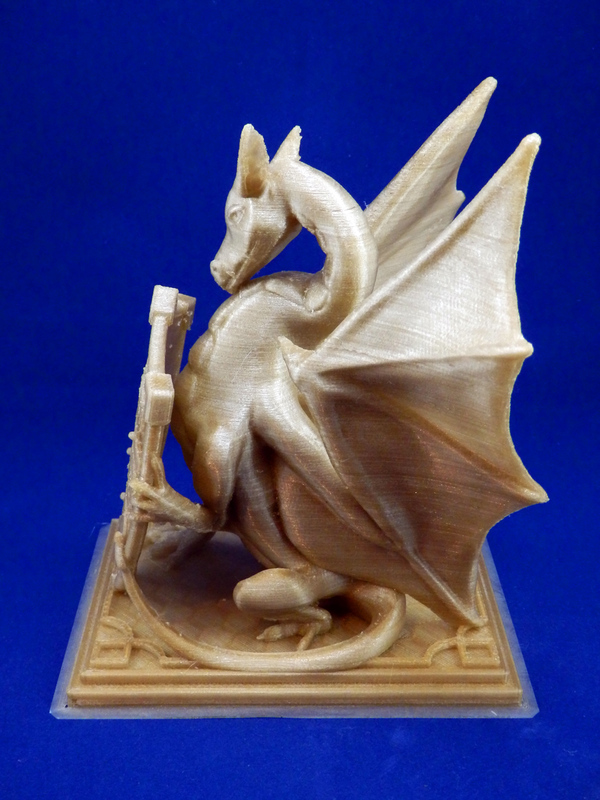 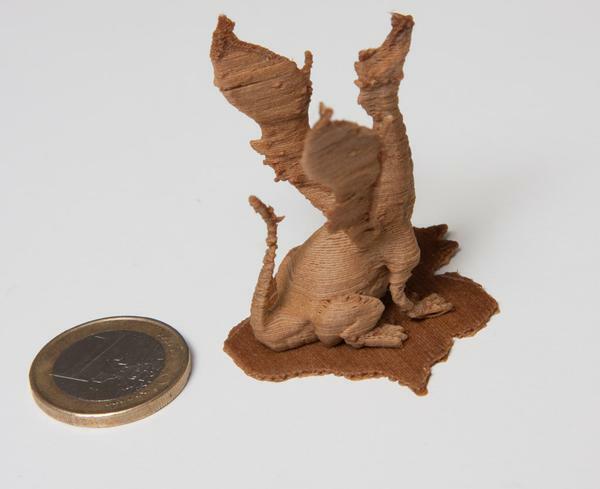 Tiny wooden dragon - (Material is PolyMaker Polywood - not technically wood, but a really fantastic material to print with). 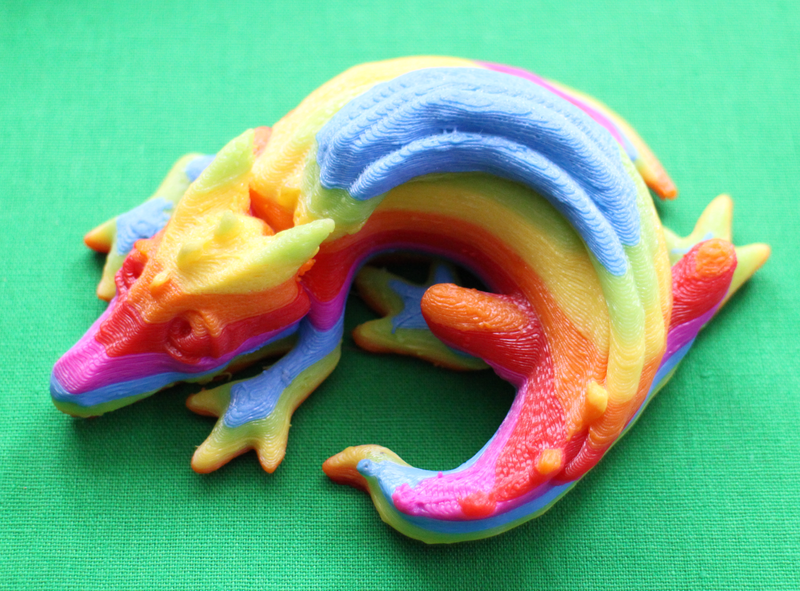 FilaFlex - The flexible rubber rainbow treasure dragon. 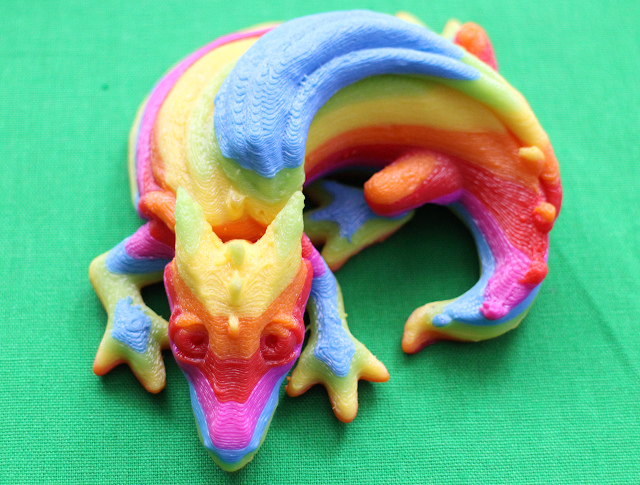 (Material is FilaFlex - rainbow colours). The rainbow dragon was printed with the new Hephestos 2 printer from BQ. 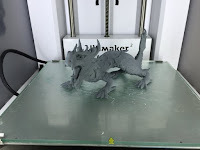 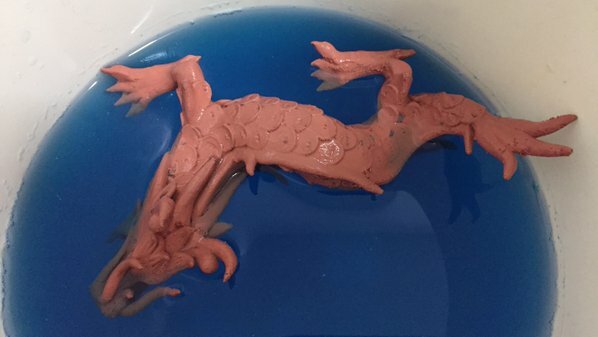 Testing out PVA support material on the Sigma 3D Printer - this is a clumsy dragon trapped in PVA - soon to be dissolved in warm water. The light blue translucent Glitter Dragon below was printed with Easy ABS from Jo Prusa, It's great stuff, no smell, it makes me like ABS again - and it's very nice for support structure removal too. 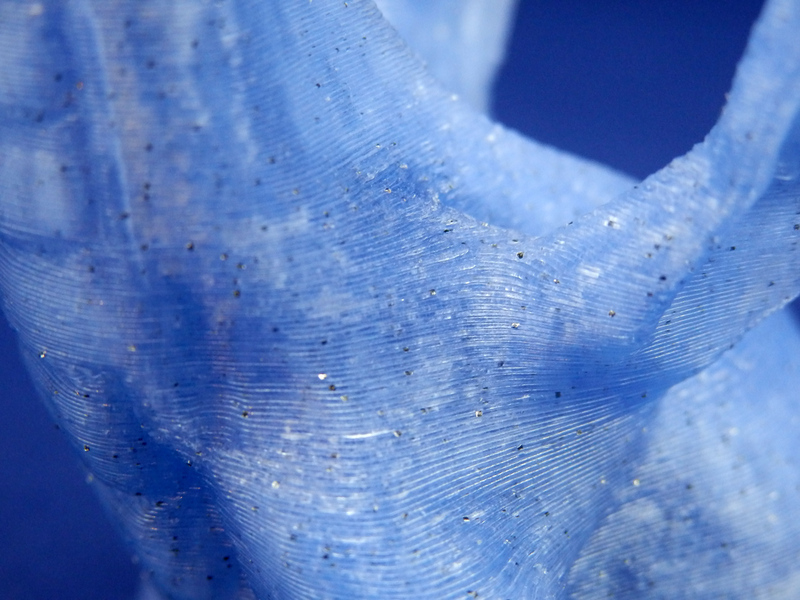 Blue glitter sparkling ABS (Material is 'Easy ABS' by Jo Prusa) - Adlindia. Halloween special - (Material is Glow in the Dark Colorfabb PLA/PHA and E3D PLA Silver) treasure dragon. 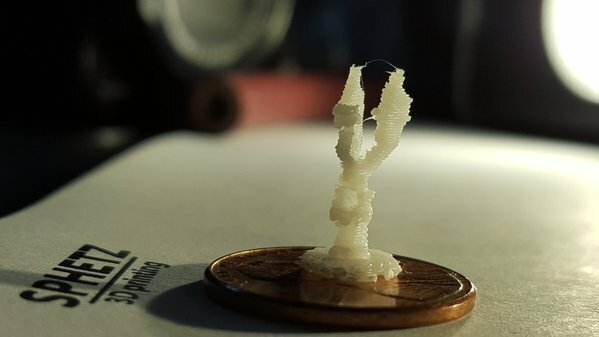 Printed on Sigma. 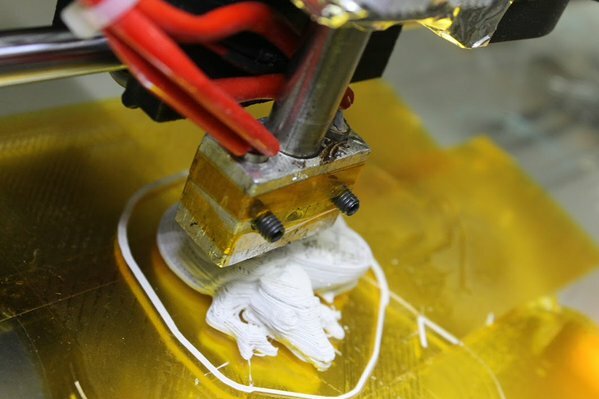 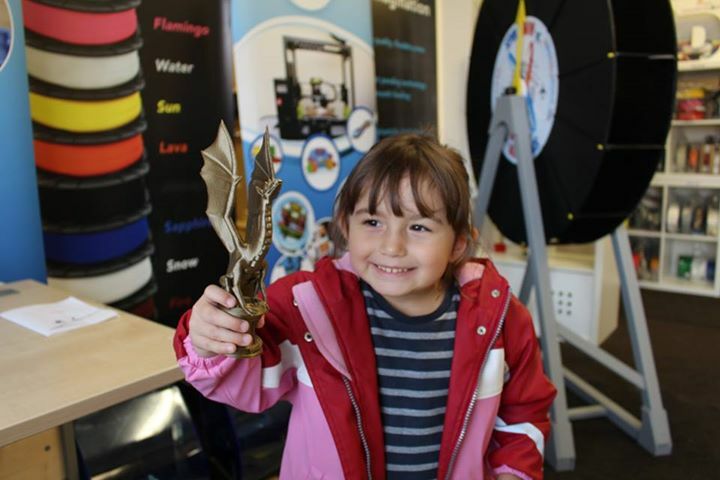 Thanks for reading and taking part in the competition - remember to have some 3D Printing fun! (Bet you are all sick of Dragons now).